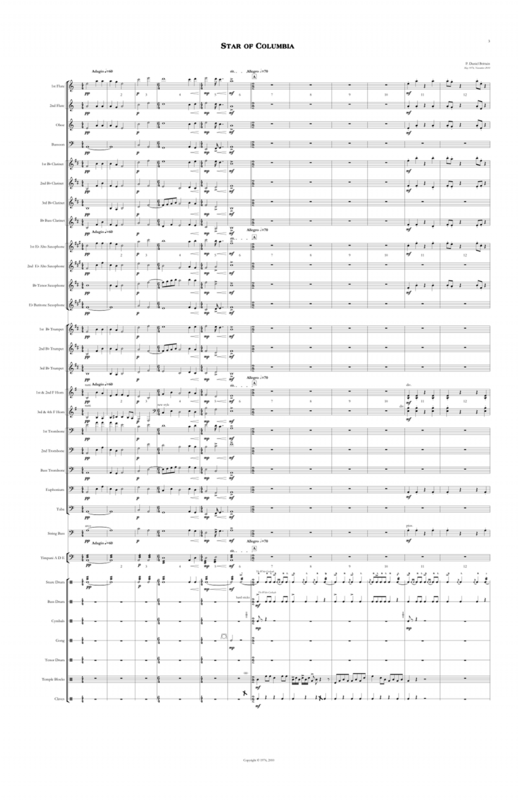 The P. Dan Brittain work for wind band was composed in 1976 for the Bicentennial of the Declaration of Independence. 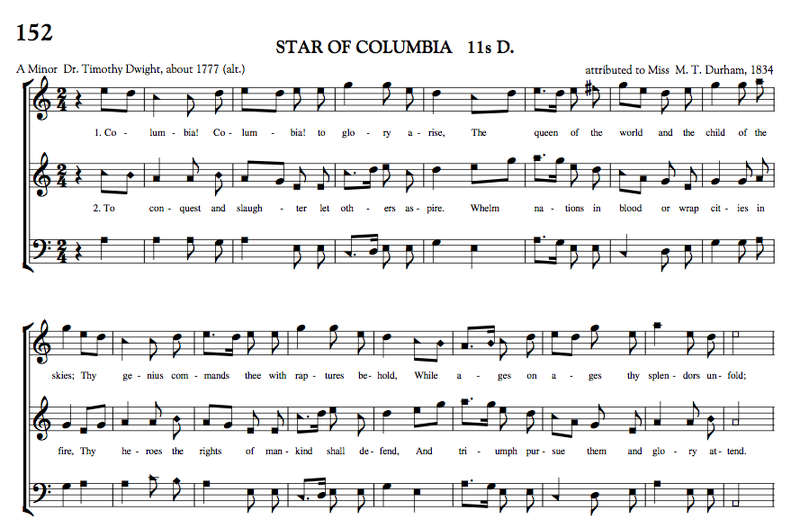 It draws upon an early American shaped note tune of the same name which made its first appearance in William Walker’s Southern Harmony, Appendix of 1840. The Poet was Timothy Dwight (1752-1817), an early President of Yale College; he (like his first cousin Aaron Burr) was also the grandson of Calvinist evangelist Jonathan Edwards (1703-1758). The poetry was first printed in The American Musical Miscellany of 1798. The first performance of this work was given by the 33rd Army Band, Headquarters U.S. Army Europe, Heidelberg, Germany, June 14, 1976. 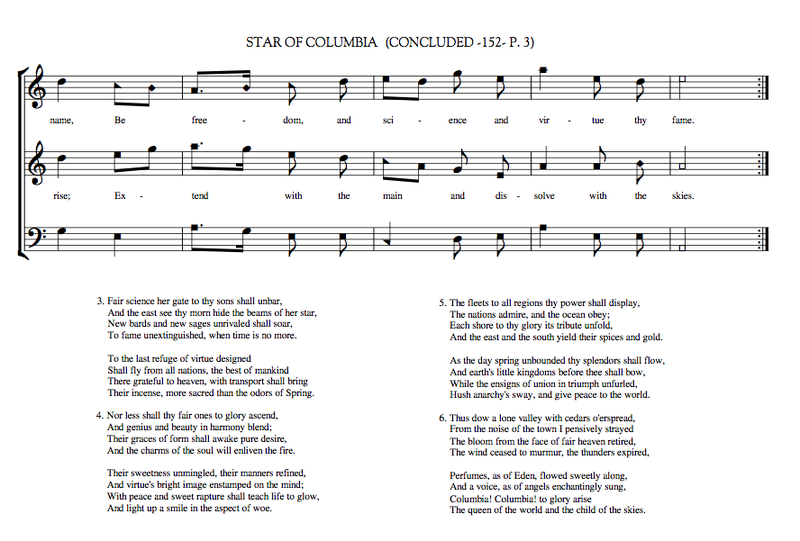 The early source melody of Star of Columbia is "Bonaparte Crossing the Rhine, " which is known both to fiddlers as a hornpipe and to fifers as a march. 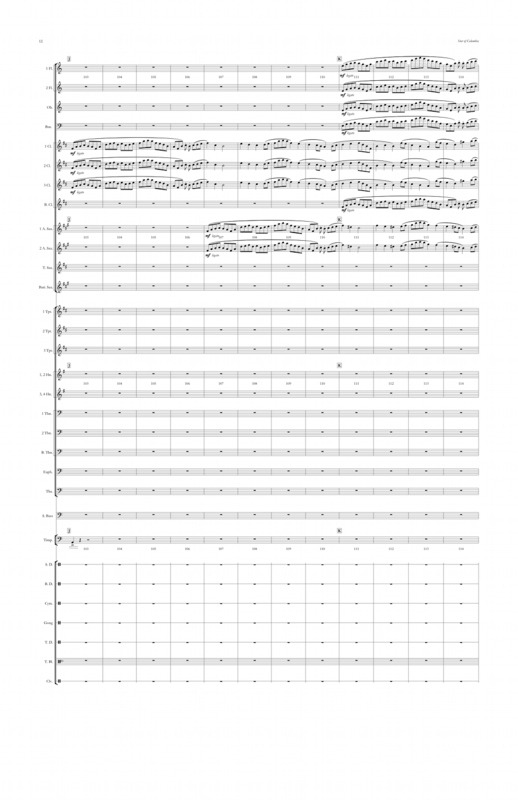 Drawing further on the early sources, the 2010 revision of this band composition replaces much of the earlier percussion material with rudimental drum parts from fife corps manuscripts and printed music. 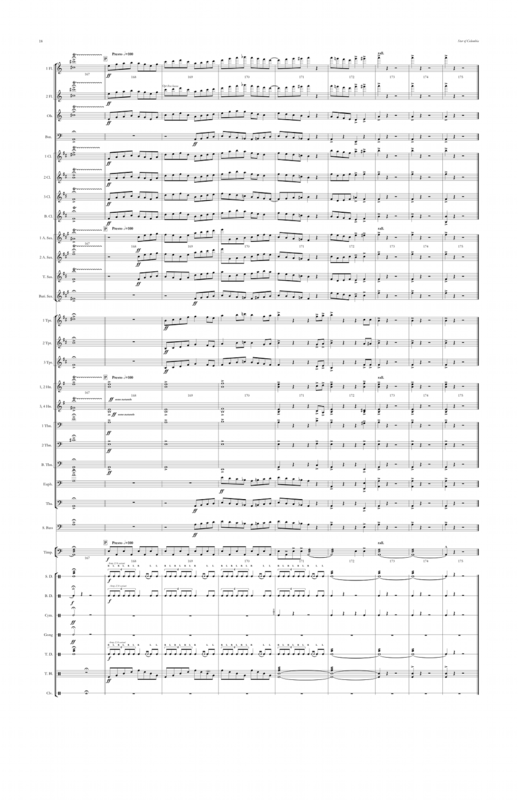 Tunes with partial or modified quotes are “Bonaparte Crossing the Rhine,” the base tune; “Three Little Drummers,” “The White Cockade,” “Yankee Doodle Ancient,” “The World Turned Upside Down,” and “Army 2/4.” These rudimental parts are not meant to overpower the winds, but to complement them. 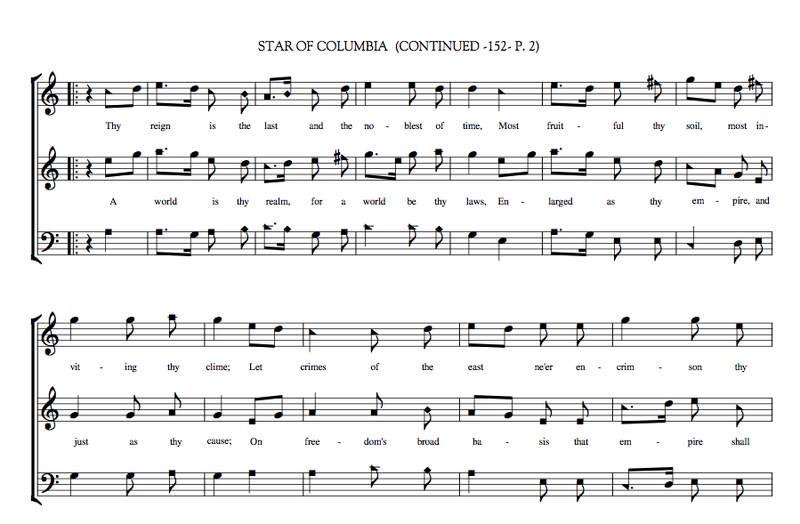 Below are sample pages 3, 12 and 18 from the 2010 Revision of STAR OF COLUMBIA by P. Dan Brittain, who composed the original wind band version in 1976. The 1976 version of the work is also available for purchase, by special order. Armed Forces School of Music, June 14, 1980, with the composer conducting.